What was deemed to be possibly the most easiest draw in the Champions League for defending champions Inter, turned out to be a nightmare as they were undone by an outstanding Schalke side at the San Siro. Inter went down at home 5-2 to Die Knappen in what was possibly the most entertaining match in the Champions League this season. After an upset of herculean proportions, Schalke’s dream run in the Europe’s elite competition looks set to continue with five away goals at the intimidating San Siro arena. Dejan Stankovic’s wonder strike may well never be topped this season but Schalke clawed back into the game twice in the first half, while completely over-running the Inter midfield in the second half, handing Inter their second worst defeat in the Champions League. 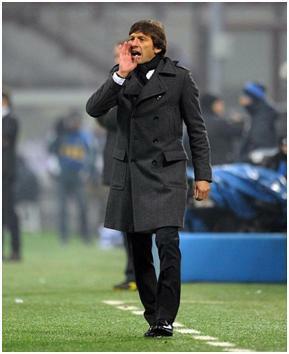 It’s no secret that Leonardo, like most Brazilians managers out there, knows only one way to approach a game – Attack. His offensive mentality has rejuvenated Inter at times this season but has equally contributed to his team’s downfall. The Nerazzurri with a backline of Maicon-Ranocchia-Chivu-Zanetti failed to contain Schalke’s pacy attack and had a torrid time thorughout the tie. Even captain Javier Zanetti ,who seldom has a bad game, was caught out at left back. Inter’s defending was simply shambolic, they were at sixes and sevens for the most part. They simply could not cope with the movement of Raul and Edu, the former proving once again why he’s one of the best strikers to have ever graced Europe’s biggest stage while the latter was always a thorn in the Inter defense. The two strikers found a lot of space between the lines and were more often than not available for a pass. What the Beneamata backline clearly lacked was a leader in the heart of their defense. Lucio and Samuel both missed out on the game through injuries and their absence was truly felt last night. There was complete lack of organization and no one really stepped up as a leader in defense. While Ranocchia is still young and learning his trade, his inexperience in Europe was clear and the errors he made were grave in nature, errors that costed Inter dear. Cristian Chivu proved yet again, why his time at the very top must come to an end soon. The Romanian was simply awful, earning his second red card in three days is further testament to the fact that he is well and truly past his prime. Maicon, who has been rejuvenated under Leonardo, was a far cry from the man we’ve seen saw dominating the right flank all these years, giving the ball away all too often. The Brazilian will have nightmares about Alexander Baumjohann, who was offered way too much space and made the most of it. Schalke looked threatening with every attacking foray they made, whilst Inter always looked susceptible to crosses and the forward runs of the Schalke players. It’s also noteworthy that out of the teams remaining in the quarter-finals, Inter have the worst defensive record, a stark contrast from last year’s side which was considered the best defensive team in Europe. He may have gained plenty of praise in his career for his man management skills but Leonardo’s tactical naivety may just cost him his job at Inter. Stankovic in praise of Leonardo had said “You can’t help but play well for Leonardo“, while Thiago Silva noted “Leonardo always had a way with words”. Leonardo’s motivational skills cannot be doubted but his tactical flaws cannot be ignored. This Inter side contained 8 players that took to the field in the victorious Champions League final against Bayern under Jose Mourinho. The Portugese tactician’s pragmatic approach, coupled with his man management skills is probably what won the Nerazzurri their Champions League crown. The difference between the Leonardo and Mourinho is clear – the latter’s tactical knowledge. Mourinho would order his front three to track back whenever they lost possession, something Leo has not encouraged. Indeed, even during his stint at the red side of Milan, the attacking trident of Ronaldinho, Borriello and Pato rarely dropped back to help out their defense. The Brazilian ordered his team to attack from the outset, with a we-will-score-more-goals-than-you attitude. His open and attacking brand of play did give the players the freedom to roam forward fearlessly, but made the team extremely vulnerable to counter-attacks. Leonardo clearly hasn’t learnt much from his time at Milan. His substitutions were faulty and perhaps his inability to take initiative a bit earlier in the second half is the reason for a premature end to Inter’s Champions League campaign. It perhaps doesn’t come as a suprise that as a manager, Leonardo is yet to keep a clean sheet in his 11 Champions League games with Milan and Inter. On a night where his attack failed to make the most of their chances and come to his defense’s rescue, Leo’s tactical ineptitude was exposed for the second consecutive game. A few eyebrows were raised with Felix Magath’s sacking at Schalke and Ralf Ragnick’s appointment. This match will go a long way in proving the fact that the right decision was taken by Schalke. Rangnick’s troops displayed the kind of attacking football that his Hoffenheim side was known for. In true German style, Schalke were efficient in front of the goal, not everyday that a side can boast of scoring 5 goals at the San Siro. Rangnick, a disciple of legendary former Milan manager Sacchi, will consider this victory as a personal victory over Inter. Inspite of missing key players such as Huntelaar, Pander and Metzelder, Rangnick’s side were not afraid to take the game to Inter and never looked like a team placed 10th in the Bundesliga. The wingers were able to exploit the Nerazzurri‘s defensive frailties, while Raul and Edu caused problems for Ranocchia and Chivu all night long. What now for both sides? Inter find themselves in a very difficult situation to say the least, and will have the daunting task of travelling to Gelsenkirchen with a target of scoring four goals without conceding. Leonardo has maintained that his side are not technically out of the tournament and he will do everything possible in his power to steer Inter into the semi-finals. It will be interesting to monitor how Inter recovers from this morale dampening loss, not just in Europe but also on the domestic front. Schalke, on the other hand, have all but qualified for the semis for the first time in their history and are definitely the dark horses in this tournament. Barring a ridiculous comeback from the Nerazzurri, Schalke have one foot in the semi-finals already.